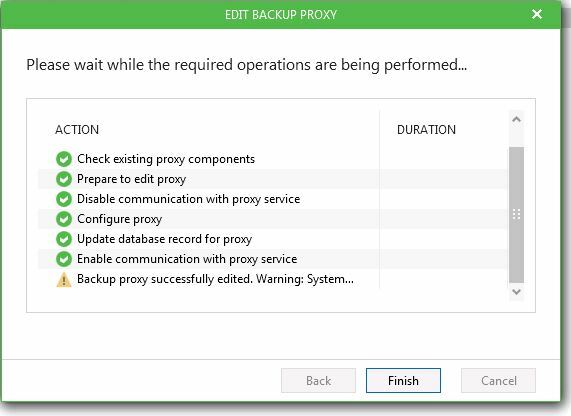 Just moved my backups to another computer and installed the newer version of Veeam Backup for Microsoft Office 365 and this version is different, one thing I noticed is that under the Proxy setting where it checks things I get the yellow triangle sign that says " Backup proxy successfully edited. Warning: System does not meet the minimum requirements " But i know the system meets the requirements and tried on several very fast capable machines . SO why am I getting this warning? here is a pic of what I see. Could you give more information on the sizing of the proxy in terms of CPU and memory allocated? We identified the same issue on our test servers, and engineers are already investigating it. If the bug is confirmed, it will be fixed in the next version.